25.09.2012 (Hvino News) “Making good wine is a skill, making fine wine is an art. Wine is our art!”, - says Zurab Ramazashvili of Telavi Wine Cellar. 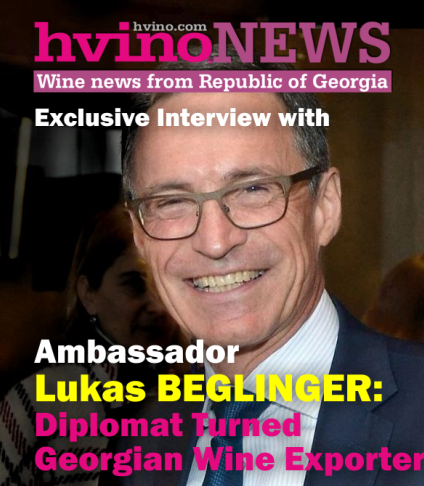 Today Hvino News continues to publish its series of exclusive interviews with leaders of Georgia’s winemaking industry. 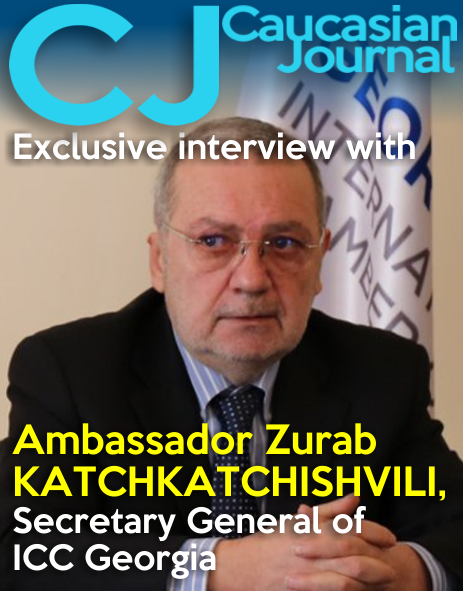 Our guest today is Mr. Zurab Ramazashvili, Chairman of the Supervisory Board of Telavi Wine Cellar. We suggest starting the interview with your company’s brief outline. Can you tell us several main facts about your company today? The history of Telavi Wine Cellar began almost a century ago, in 1915, with the foundation of a small wine cellar in the middle of marvelous scenery of gorgeous Caucasian mountains and valley branched by Alazani river. The following years of the existence were not as charming as its start, until the formation of a new team with the willingness to prove to the world, that we are lucky people - in other words, that we are the folk who happened to find themselves living on top of the greatest terroir for structured, light-to-full-bodied wines capable of mature and acquire new and still more beautiful sensual attributes. The second piece of luck is that the climate pattern is producing an almost unprecedented run of tongue-dangling vintages. So, what are left are traditions, cautious approach to new technologies and desire. No lack of them! Yes, it was difficult from the beginning, though difficulties made the process more interesting. When you look back you are proud to feel, that you have taken the responsibility to continue what has been started by your ancestors. We had the period of Russian embargo (in 2006) If you’re struggling, quality offers the best chance of salvation. What is quality in wine? It is optimizing what nature delivers. It needs hard and restless work, as a result of which we have an increased demand, interest and consequently increased sales up to 3.5 million bottles. What are the strong points of your business, and possible threats to it? Continuous strive to improve and sustain quality, to balance our ideas with new demands. But, having successful business does not only mean producing a high quality product. It implies having an enthusiastic staff - enthusiastic about ideas, projects and innovations. Strengths are natural talents. They come from how you are "wired". We focus on the strengths of our team and thus increase effectiveness and productivity in our company. Shortly, optimal usage of human and natural resources and its harmonious combination are the strong points of our business. What about an insight into the future, what are your goals? I think it's necessary to see if we are going in the right direction. We must never forget that our first interlocutor is the consumer. The consumers are paying more and more attention to the identity, to the history and to the provenance of the wine they drink. When you buy a bottle of wine you buy a part of its philosophy, of its history, of its native territory, of its culture. We are really fortunate, among different wine regions with their unique identity, to posses the most noble appellation with its Kondoli Vineyards, the importance of which as the source of best wines is first mentioned by the bibliographer Vakhusti Batonishvili in his book “Life of Georgia’ (1742). We pay more attention to wine to fully flourish its potential in the country, which is gaining its recognition and image as "cradle of wine". In the nearest future our “wine paradise” at Telavi Wine Cellar will give the opportunity to wine lovers to share our expertise and heritage and taste wines full of positive sensations. 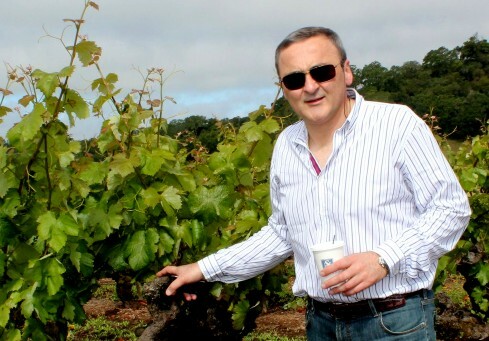 How a person becomes a leader in wine industry? Please tell us about yourself, your background. In particular, what made you enter into the world of wine? Leadership is the capacity to transform vision into reality. Though future isn't predictable, one has to know where to aim. It's impossible to grow up in Kakhteti (Eastern Georgia - the most important wine making region in Georgia) and not to be linked with traditions of wine making. From this point of view, an extraordinary conversion from a medical doctor into the wine-maker appears to be a correct decision. Paying attention to every detail, learned from my previous experience, has contributed greatly in the successful transformation. From the beginning it is unimaginable, how deep and vast the wine world is. The deeper you go, the more “addicted” you get. You experiment, learn, gain experience....Wine became my inspiration, pushing me to working non-stop, since I took the responsibility of introducing our incomparable wines to the consumers from all over the world. 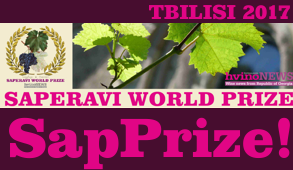 And now, Telavi Wine Cellar exports wines to 20 countries - number that gets higher year after year. Are you creator of your brand? If yes, how was it made? Some interesting facts from your brand’s or your company’s history will be very interesting to hear. "Marani" is a brand that was created and established itself on the market with its consistent quality and a great diversity of wines, some with outstanding cellaring potential and others with the fragrance and delicacy that demand earlier drinking. When thinking of a new brand we found a good solution by using innovations of our ancestors. What is innovation today probably becomes a tradition in the future. By introducing the "Satrapezo" brand we have revived the old tradition of Satrapezo (trapezi means sacred table) wines. In old Georgia, the best wines have been served at trapezi ceremonies, attended by the most prominent clergyman and laity. Satrapezo wines, Saperavi, 10-Qvevri and Mtsvane are fermented and aged in traditional Georgian clay vessels kvevri buried in the winery’s earthen floor. They ffer to a consumer a link to the past, greater complexity, impressive richness of aroma and elegance. Knowing the importance of healthy lifestyle, you can take me as a promoter of it. My typical day starts at 6 a.m. My pet-dog Bobo makes my morning; after a swimming session and a light breakfast I head for an early working day in the office. If I have time-off in Georgia I go out with my family, my friends, read a lot, play football and take my dog out. Once abroad, I take my time to enjoy the new atmosphere, always find time to do a good sight-seeing of the places I happened to visit during my business trips. If you wish to send a personal message to global professional wine community, the floor is yours! 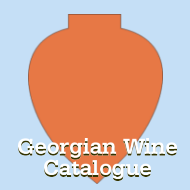 Guys, embrace Georgian wines, good people should drink good wine. 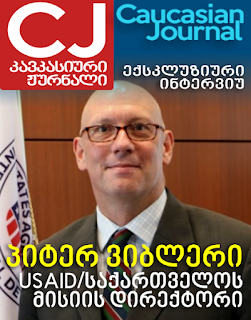 Thank you very much, Mr. Ramazashvili. © Hvino News. 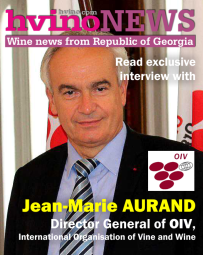 To read other exclusive interviews with leaders of Georgia’s winemaking industry, click here.